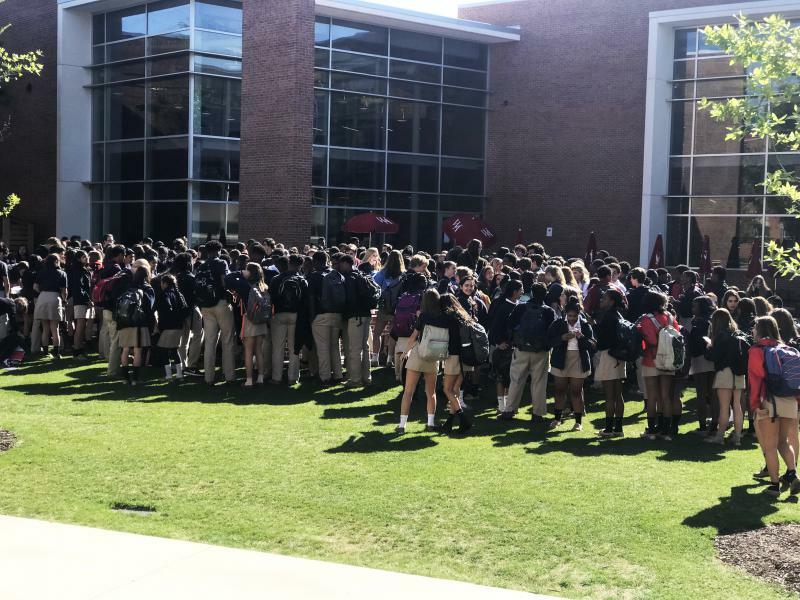 Students walk out of Woodward Academy in College Park. A handful of Georgia schools participated in the April 20 walkouts to draw attention to gun violence. As GPB’s Emily Cureton reports, there seemed to be a divide between private and public schools in Southwest Atlanta. A tale of two schools. Students who walked out of one of Georgia’s most elite private schools were warned they’ll be punished for it. Anna Kathryn Hodges is a junior at Woodward Academy in College Park. And the prospect of an unexcused absence and detention didn’t deter her. “I’m walking out to take action, to support the victims and also hopefully prevent other school shootings from happening in the future,” she says. But the interview is cut short by an assistant principal. After the walkout Woodward student organizers were allowed to put on a civic engagement event about how to register to vote, contact elected officials, and send condolences to communities suffering from gun violence. “We have asked students to refrain from espousing specific policy views at this event and they have assured us that they will comply with this request,” wrote Woodward's Upper School Principal Jonathan Merrill in an email to parents. Less than two miles away at Tri-Cities public high school, there wasn’t a walk out at all. A few students who happened to be walking the track on Friday morning said they hadn’t heard about plans to commemorate the mass shooting at Columbine High School 19 years ago. Across Georgia, around 10 schools listed demonstrations with the national walkout website, compared to over 2,500 events nationwide. 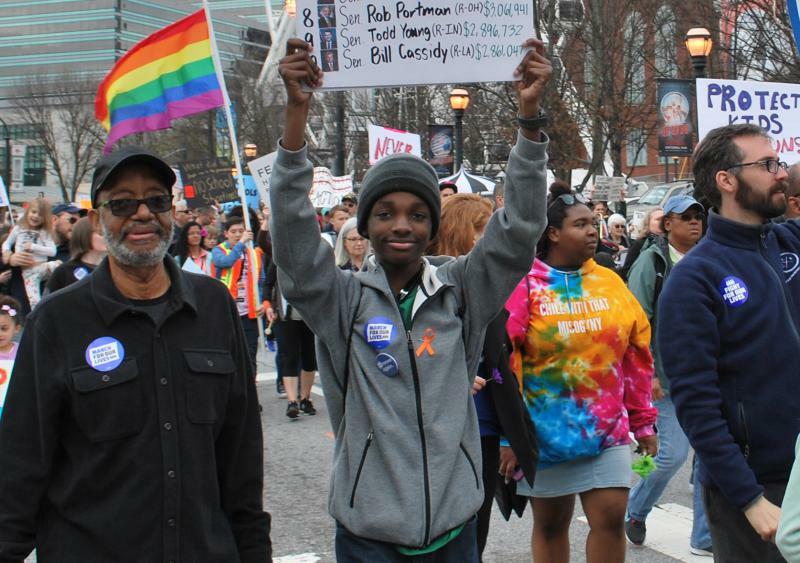 About 30,000 people turned out at the March For Our Lives in Atlanta Saturday to advocate for changes to gun laws. As volunteers worked the crowds to register voters, South Cobb High school student Niles Francis held his sign high above his head. It listed lawmakers who took money from the NRA. He’s still two years away from voting for the first time. But he’s determined to be heard now. “A movement like this proves that your voice does matter,” Francis said. 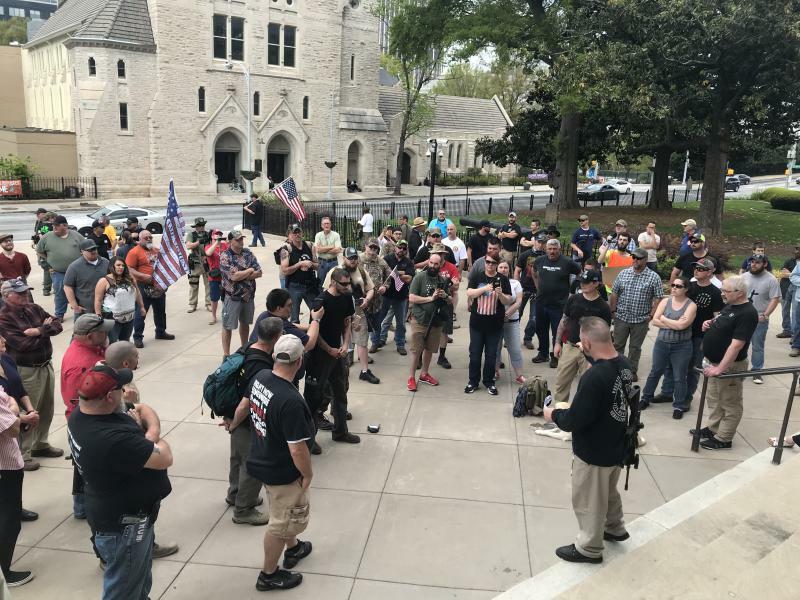 Three weeks since 30,000 people filled Atlanta’s streets to march for gun control, about 80 people rallied under a banner of gun rights at the Georgia State Capitol.